Nic Stone and I are imprint siblings at Crown and best buds for about as long as either of us have been in the publishing world. She’s the only person on Earth who’s read everything I’ve ever written. We discuss everything from the virtues of kettle corn to the foibles of child-rearing to race relations in America to…story stuff that really requires more context than I have room for here. 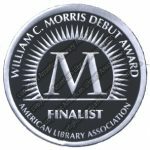 Point being: I couldn’t be more thrilled for Nic that she’s a Morris finalist and no one is more deserving. I got to talk with her. Tell us the story of how Nic Stone became a writer. Once upon a time, six-thousand-five-hundred-seventy-three years ago, a young, brown immortal was conceived under still-mysterious circumstances… #blackdontcrack. Okay, sorry. Getting serious now. The story of how you got your book deal is one of the more unusual I’ve heard. Tell us how you ended up at Crown with your editor. Before I answer this, I want to issue a disclaimer: this is super atypical, and it’s not as *cool* as it sounds. Trust me. The long and short of it is: my agent submitted a manuscript I’d written. The first editor to respond liked my style and my writing and my voice, but wasn’t sold on the story I was telling in said manuscript. So she asked if I was working on anything else. Cue twelve-hour scramble of me pulling together probably the roughest proposal I’ve ever written—a synopsis of a current-events-based story that’d been kicking around in my head for a few weeks at most. And by some miracle, Editor was super into the idea. After a couple weeks of rejection after rejection on the full manuscript we initially submitted, Editor came through with an offer. And I took it. And from these humble beginnings sprang forth Dear Martin. Which is now a finalist for the Morris Award and the reason you’re asking me these questions. 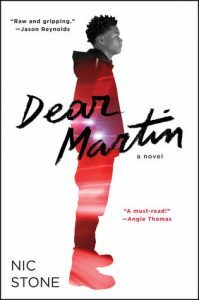 I read a version of Dear Martin that was very different in some ways than the version that’s currently a Morris contender. Can you speak about the evolution of this book? The initial drafts of this book were much more… complicated. It was twice as long (literally), there were eight points of view, it was nonlinear, the main character, Justyce, died on like page three, and the scope of the story was a lot broader. We decided to zoom in on Justyce’s experiences, shorten the book, and make it linear largely because… well because it’s a better book this way, I think. It’s harder hitting and more impactful because there’s less to keep up with. And I can’t even tell you how many messages I’ve gotten from kids who had never finished a book until they read Dear Martin. Doubt they would’ve gotten through it had we left it the other way. So I’m glad my editor put her foot down! On the same day they announced you were a Morris finalist, there was an announcement of your new two-book deal. 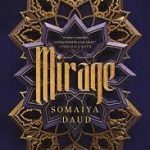 What can your readers expect from books two, three, and four? 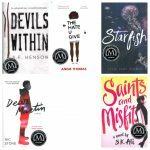 Do you feel like this is an exciting time to be writing YA books? Who do you write for and why? Nonreaders. Especially Nonreaders of Color. Which I didn’t even realize until so many of them started contacting me. I write for them because I think it’s important to read, and yet I also understand that when you’ve never really seen yourself if the type of stuff you’re assigned, reading seems kinda wack. So I wanna hook the reluctants and get them started reading for enjoyment. At that moment when someone finishes Dear Martin, what do you hope is going through their head? Everything. I want people to finish this book and think about everything. My goal for the book itself was to stimulate some critical thinking—which let’s be honest, is in short supply at present considering how quickly we’re expected/expect others to speak and act—about the world we live in and our individual places within it. It’s important if we intend to move forward in a way that benefits as many people as possible. What’s one of the most memorable experiences you’ve ever had with a reader? Needless to say, this kid has done a lot for my self-esteem. What would you write to Dr. King? I’m literally trying to figure that out for an op-ed piece, LOL! 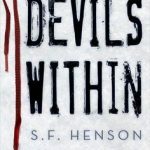 What are five books you think everyone should read and why? I’ll give you the five I read while writing Dear Martin: 1. A VISIT FROM THE GOON SQUAD by Jennifer Egan, which is the book that helped me to see that I could play with various storytelling formats in one single novel, 2. WHEN I WAS THE GREATEST by Jason Reynolds, which helped me settle into my black boy character’s voice, 3. GRASSHOPPER JUNGLE by Andrew Smith, which loosened me up a bit and made it clear that irreverence is an okay thing in books written for teens, 4. WHERE THINGS COME BACK by John Corey Whaley, which was SO beautiful and lyrical and helped me find my prose rhythm and 5. GOING BOVINE by Libba Bray, which showed me the power of reaching into the heart of a story and keeping the plot from taking over. Read all of these definitely. Setting all modesty aside, what do you love most about Dear Martin? The dialogue. I love writing dialogue and using that particular element of narrative to draw out the heart of a story because storytelling as a discipline really began with speech—stories orally passed down, generation to generation. Dialogue is just my most favorite thing. In all the stuff I’ve written actually.